. Quite nice unit, works down to 0 cm. There were some problems with it - Maximum detection frequency is only ~14 Hz and the resolution isn't so great (1 cm). Also, on some occasions after falling from a high height the transducers broke and sensor would only give out constant distance reading. To fix the broken sensors (which I had many) and to satisfy my curiosity I took one apart and reverse engineered it. ADC. 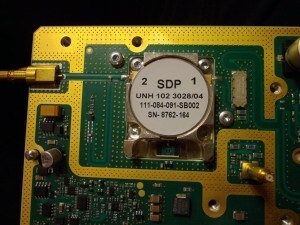 The ADC frequency 500 ksps so the whole received 40 kHz signal is digitalized for analysing. This gives the benefit of extra resolution and ability to measure distances closer than 30 cm. 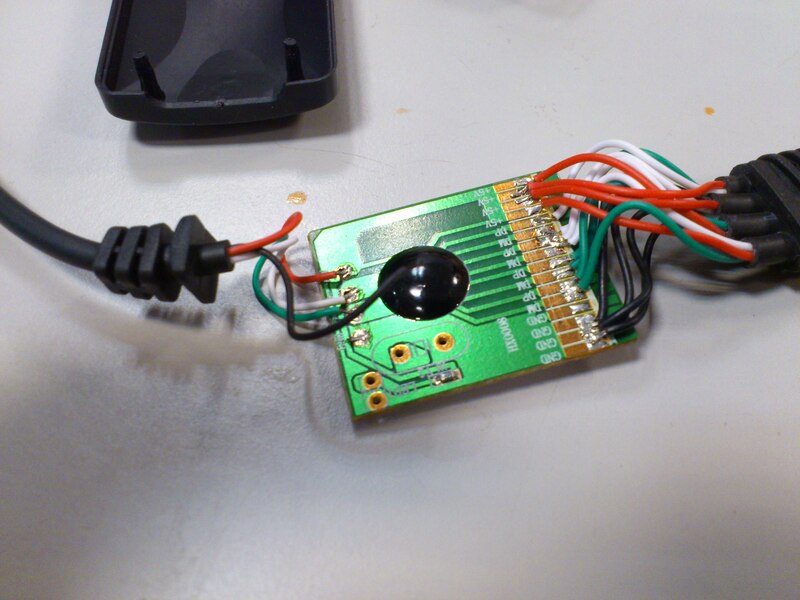 Normally this is not possible with one transducer design because the transducer is still ringing from transmitting. 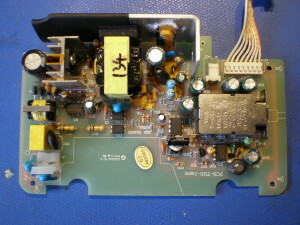 The analog front end is an active band pass filter. First stage is configured with a gain of 26x and second one with 5.6x. 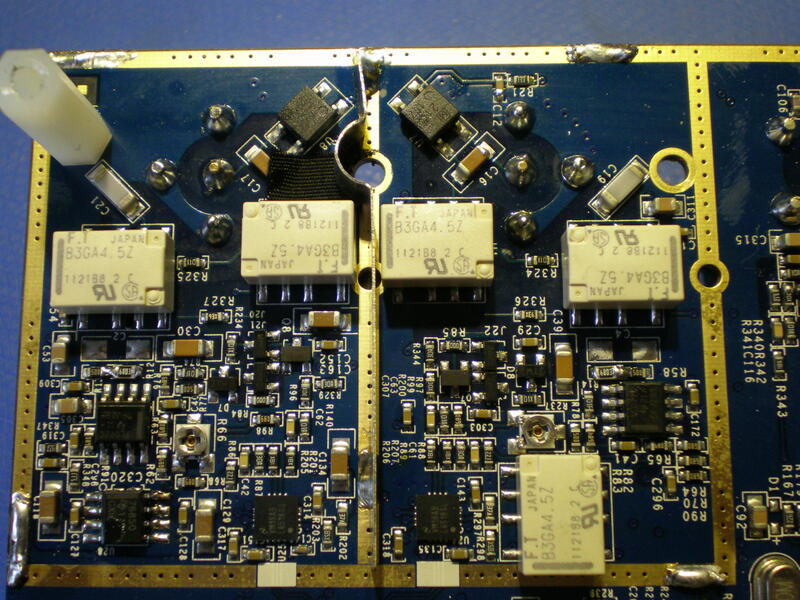 Gain-bandwidth product for both stages is <=1 MHz so the op-amp is more than decent enough. 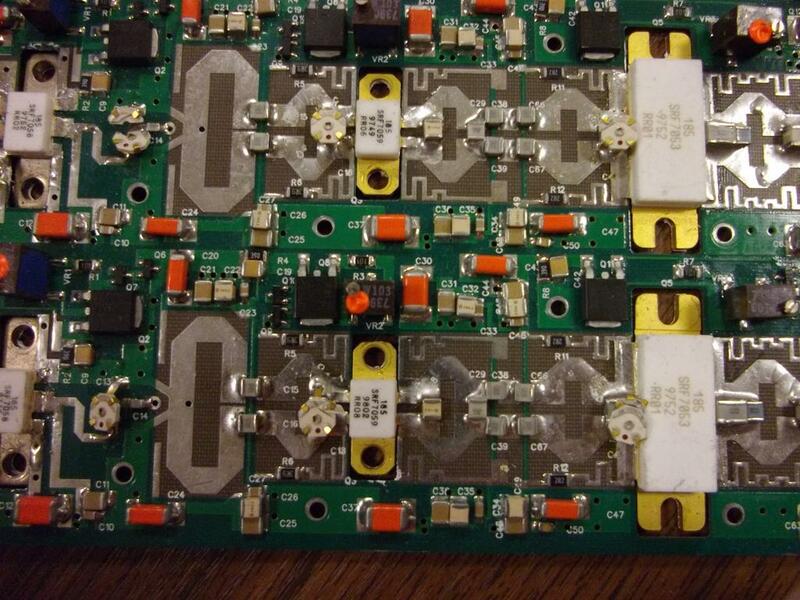 Filter cutoff frequencies are 8.8 kHz for low pass and somewhere >70 kHz for high pass. 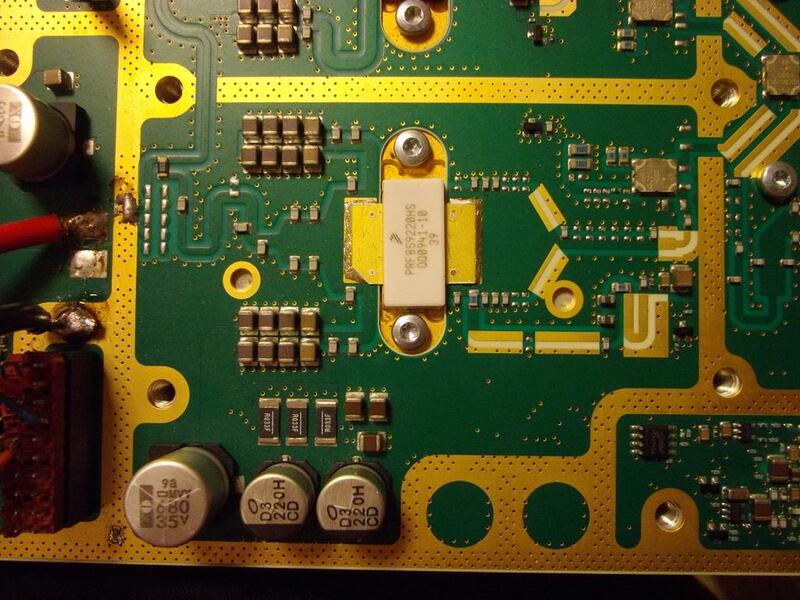 Top capacitor is somewhere in the pF range where my multimeter can't measure. 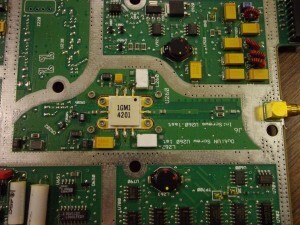 The necessary driving signal is generated by two IO pins. 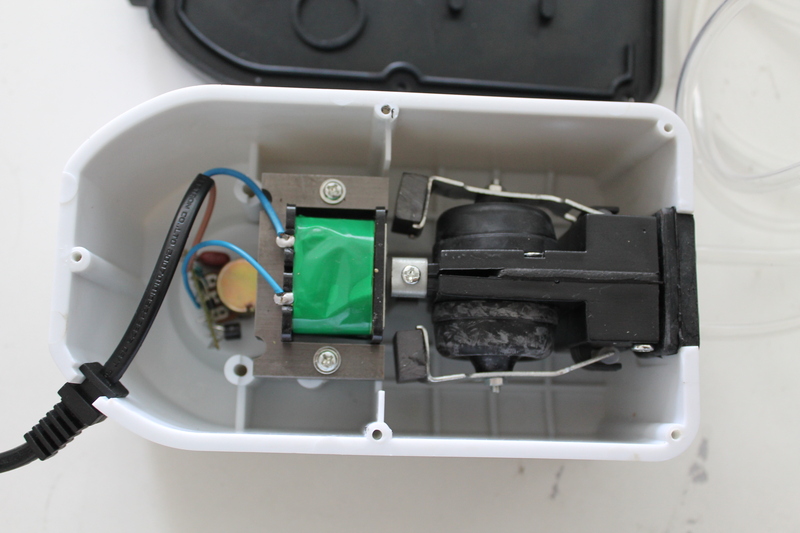 Driving the transducer this way gives 6.6 voltage peak-to-peak to the speaker. 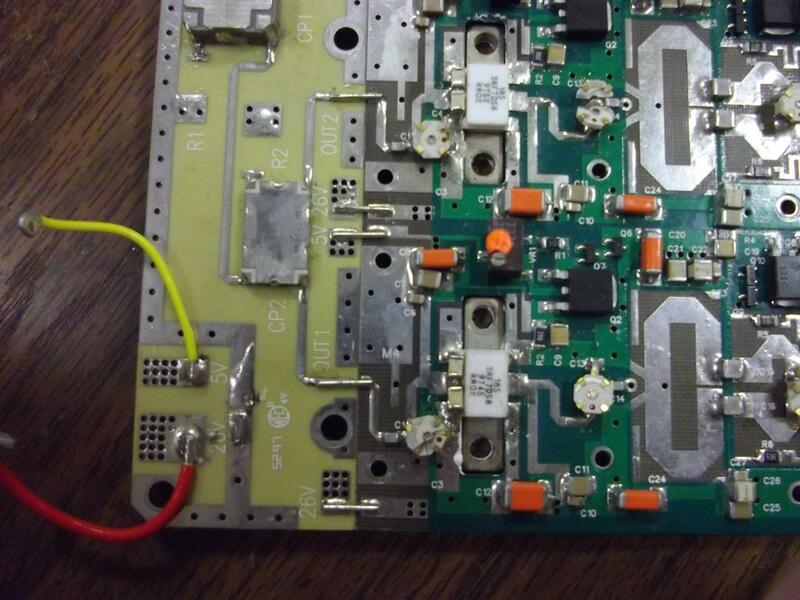 After generating 8 pulses @ 40 kHz it switches bottom pin of the transducer to GND and top side to input. 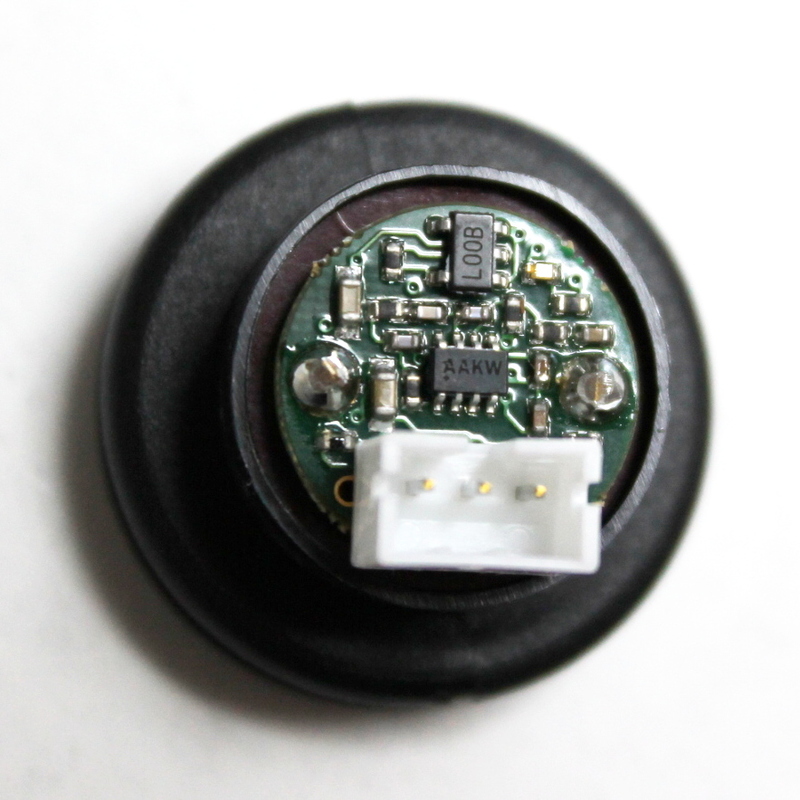 In conclusion it is a nice little sensor. It does some nice tricks to get its performance. 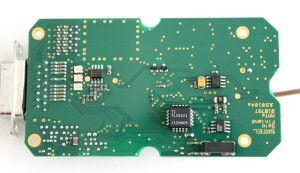 Control software is has one pin serial interface to get data. Biggest problem with it is the detection rate. Measurement can be triggered only every 70 ms. The reason for this is to hear echoes for the maximum range of 6 m. Good idea, but for shorter distances the time could be much shorter. This speed is good enough for human interface, but not good enough for many control applications. EDIT: Lot of people were interested in the failiure reason and fix. The failiure was caused by mechanically braking tranducer. I managed to destroy 5+ sensors and all of them had the same problem. Broken tranducers had slightly different capacitances, I didn't measure other parameters. 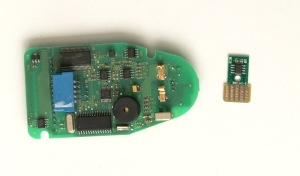 Same tranducers were available from Farnell for quite cheap so I just swapped these for any broken sensor. 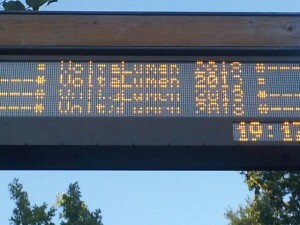 So Estonian LED display company VoltaLumen installed bunch of LED displays to bigger bus stops in my home town Tartu. As always - this requires a teardown. As it turned out - taking it apart without destroying it is practically impossible. It has been riveted shut and painted over. That stopped my teardown a bit. 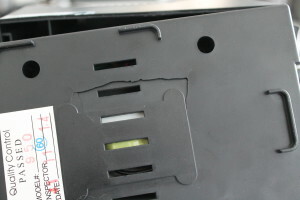 In the accessible hatch there was bunch of debug connectors. 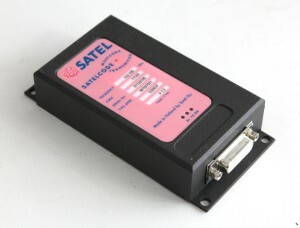 RS485 for control over the wire, USB for programming, SD card slot for flashing firmware and GPRS modem slot. RS485 and 230VAC connections are brought out of the screens via nice cable for local controlling. Information is sent over RS485 in XML format to change bus times and clock. 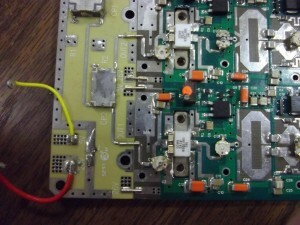 It also has an internal RTC, so clock synchronization doesn't has to happen every day. From LEDs side - it uses orange PLCC2 leds. Quite high brightness, blinded us several times in the lab. Fortunately there is brightness control. After another frustrating desoldering session I ordered desoldering hot tweezers. Because I don't know how much will I use it I bought the cheapest - Aoyue 950. The price was about 50 € with shipping. It came with two sets of tips: sharp and big blocks. Big blocky ones looked fine but the design was so stupid that it didn't work on any component I had. Next - I teared it apart. 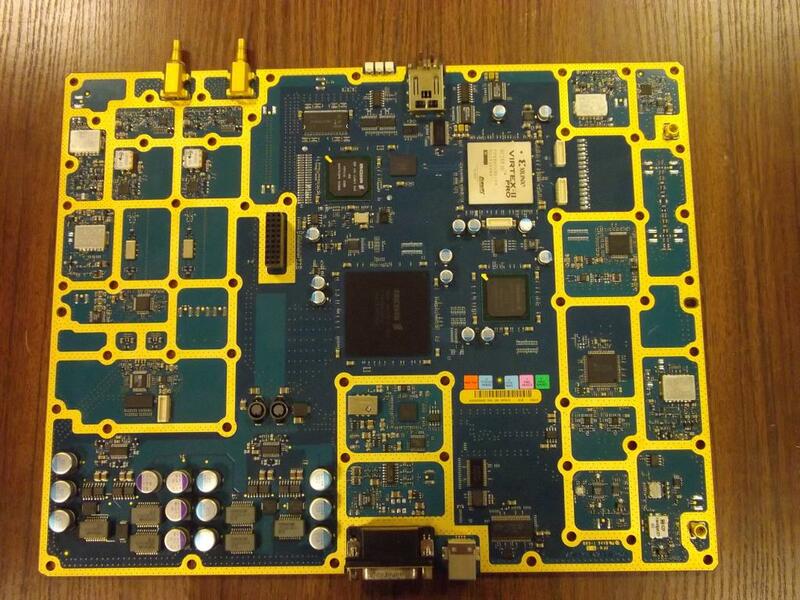 The insides look like normal cheap chinese station. Big ugly transformer and even uglier piece of electronics. I also got a vacuum pen. 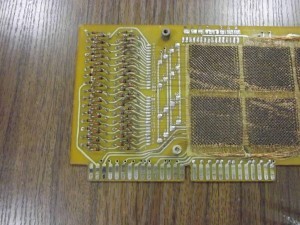 Useful when using solder paste method to assemble PCBs. 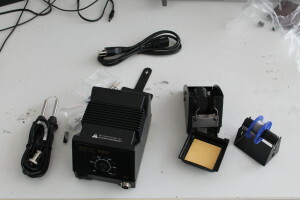 It is a small box with a speed control button and two vacuum heads. 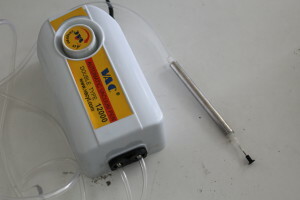 Mechanics are exactly the same as in regular aquarium pump. It uses two channel diaphragm/membrane pump to make the vacuum. Another trick I like is that they use non filtered mains to move pump up and down. 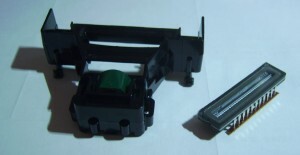 Device itself comes with different tips, but for small components it is best to use syringe tip on original nozzle. 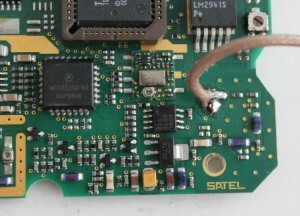 I got my hands on a broken Satel OY multicode transmitter. 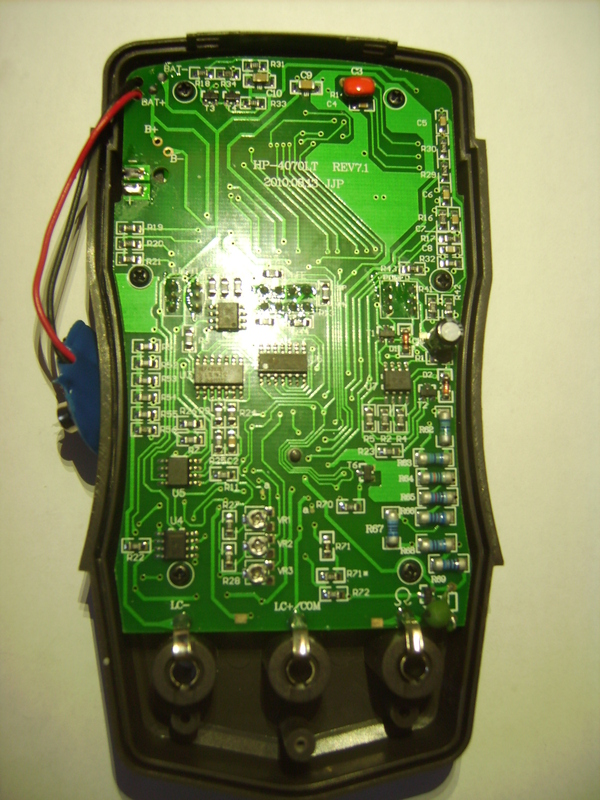 It is an transmitter used to get information from remote sites - alarm codes, telemetry or sensor values. 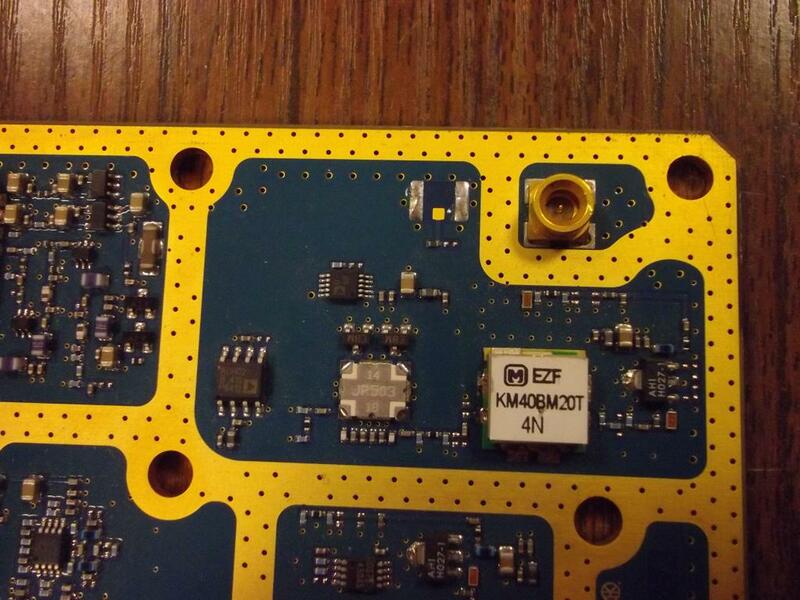 You can attache it to your pump or ground station and it sends a message up to 30 km if something is wrong. 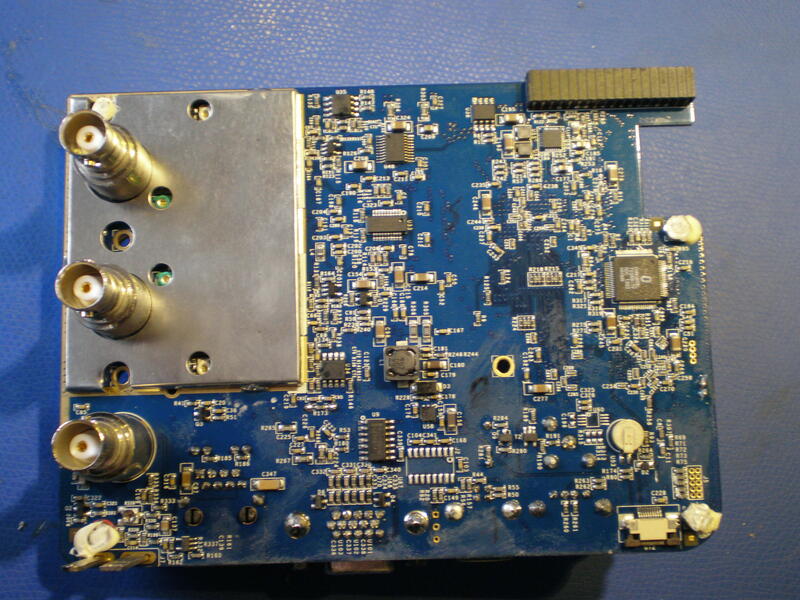 It puts up to 4 W of output power to VHF band 152 MHz in FSK modulation. 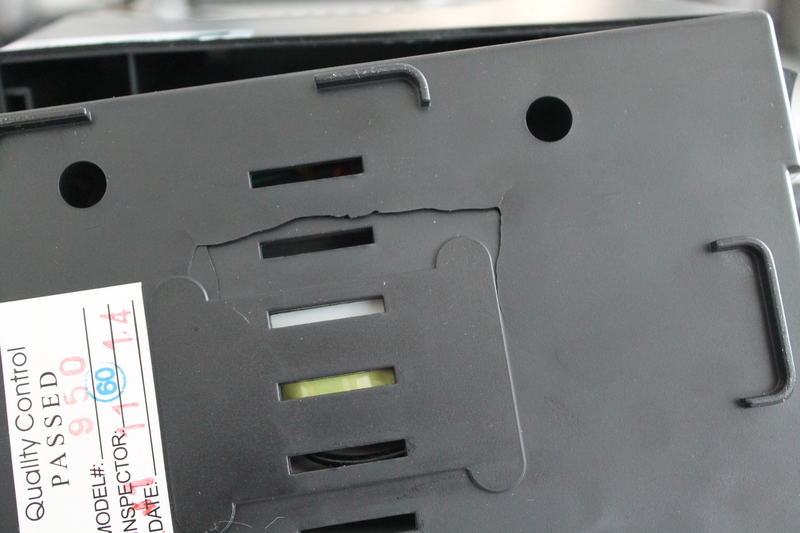 As alarm systems go - it also had a place for backup battery. 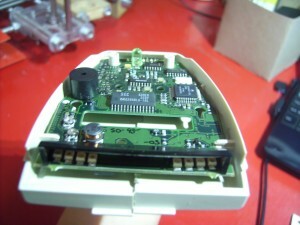 This device is designed and produced in the end of nineties and it can be seen from the build. Old chips and packages. 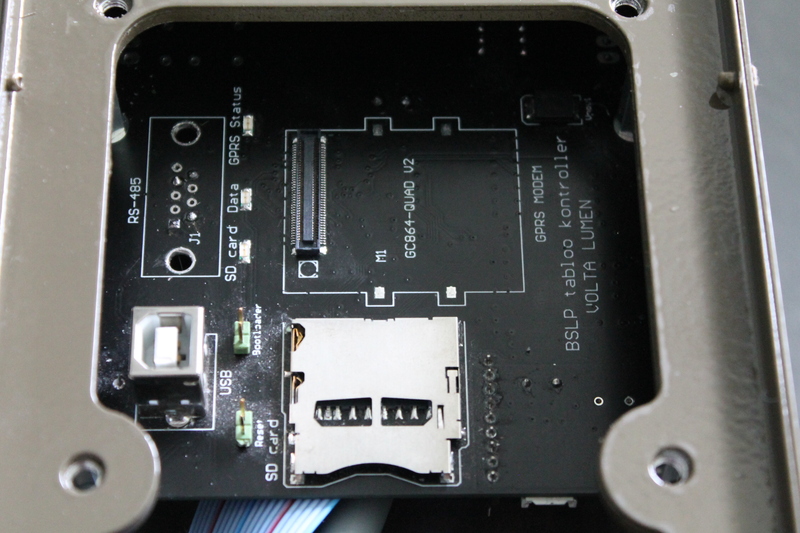 The device itself is screwed in a thick aluminium box for weatherproofing, RF shielding and mechanical rigidity. 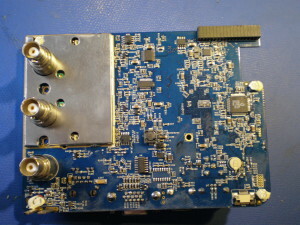 Input power and signals come from DB15 connector and all go through low pass filters for protection. It has to survive the scariest test ever - the user! 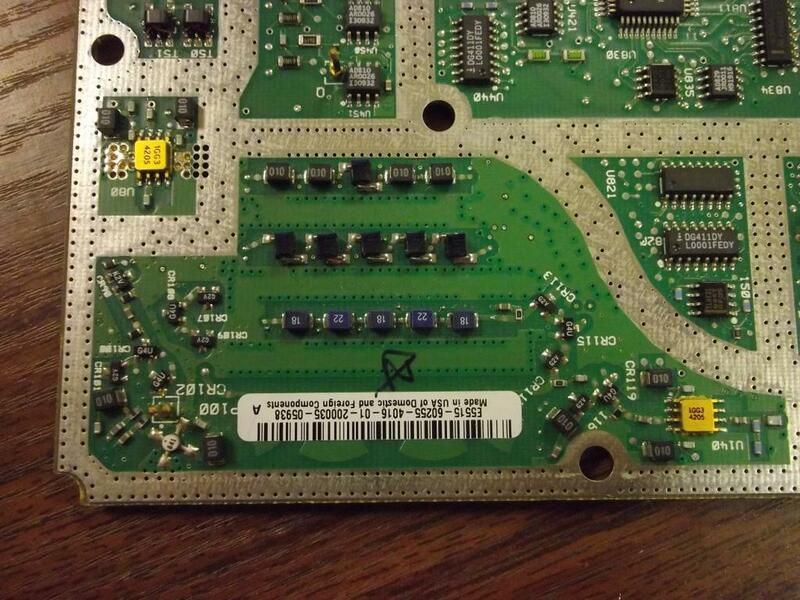 The brain of the thing is socketed Atmel TS87C51RB2 in a PLCC44 package. It is a device before flash memory - only single programmable! 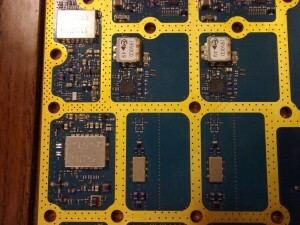 From RF section we don't find fancy transceiver chips. 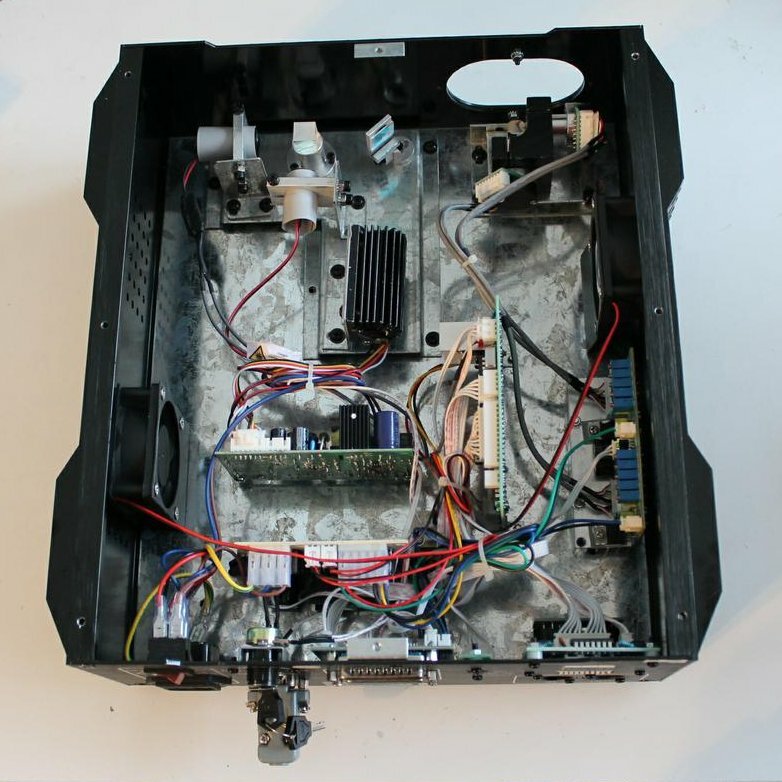 Frequency synthesise is done by temperature controller temperature oscillator in a separate metal can. 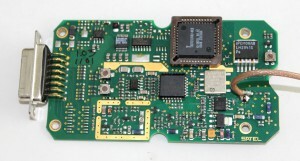 Modulating multicode is generated by Motorola MC14515 PLL frequency synthesizer. 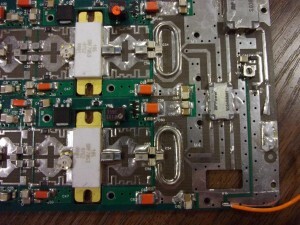 Bunch of analog RF circuitry filled by RF inductors does the modulation and matching. 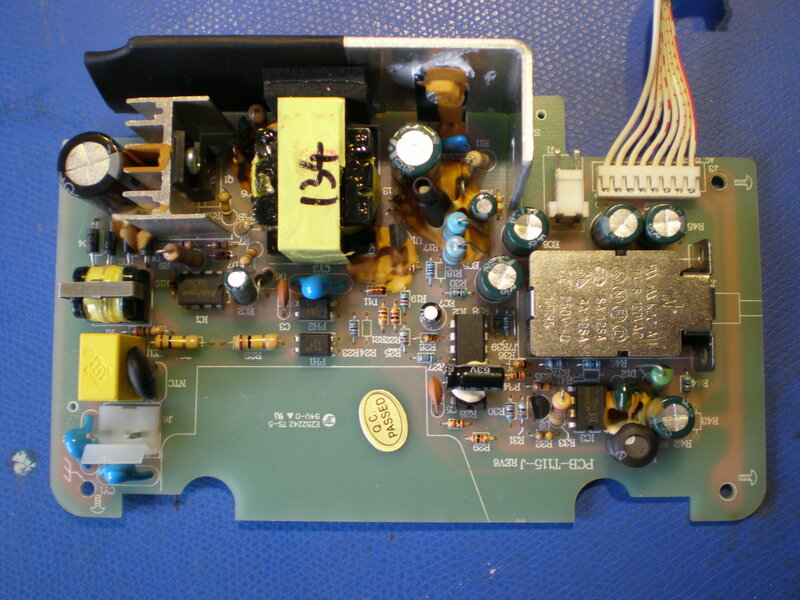 The output is amplified by BLT50 Power amplifier that is used out datasheet frequencies. 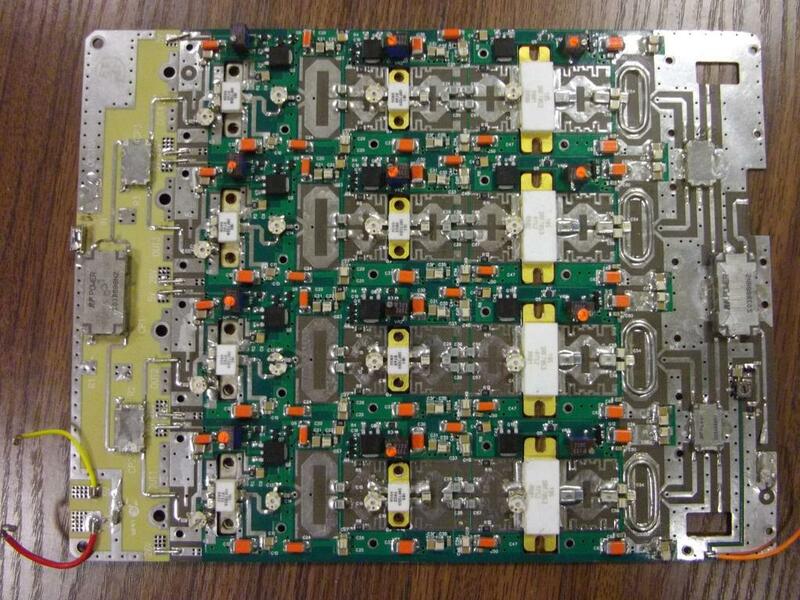 Do your own datasheet - typical for RF power stuff. 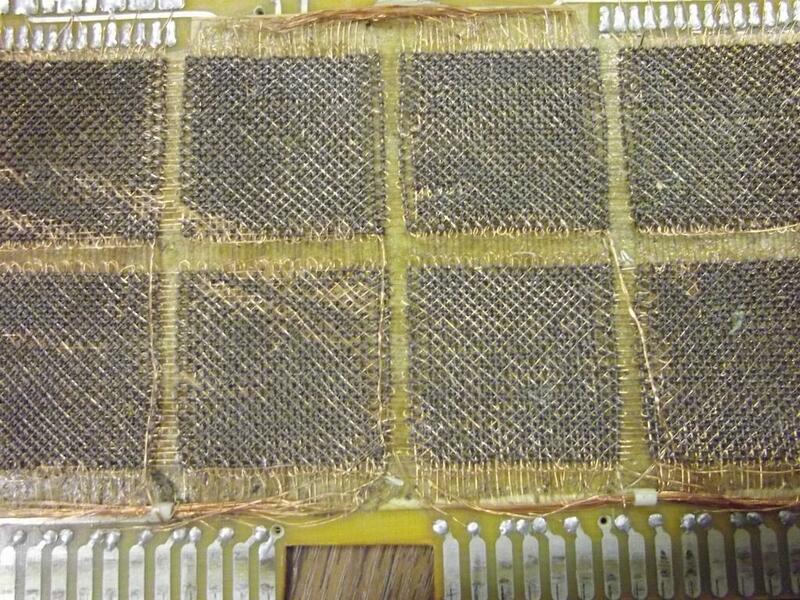 They don't use air core inductors, so they lose a bit of efficiency, but since it is externally powered they don't care. Also TLC542 ADC is used to get some feedback from RF front end. I got my hands on a Laserworld CS-500RGY laser projector. 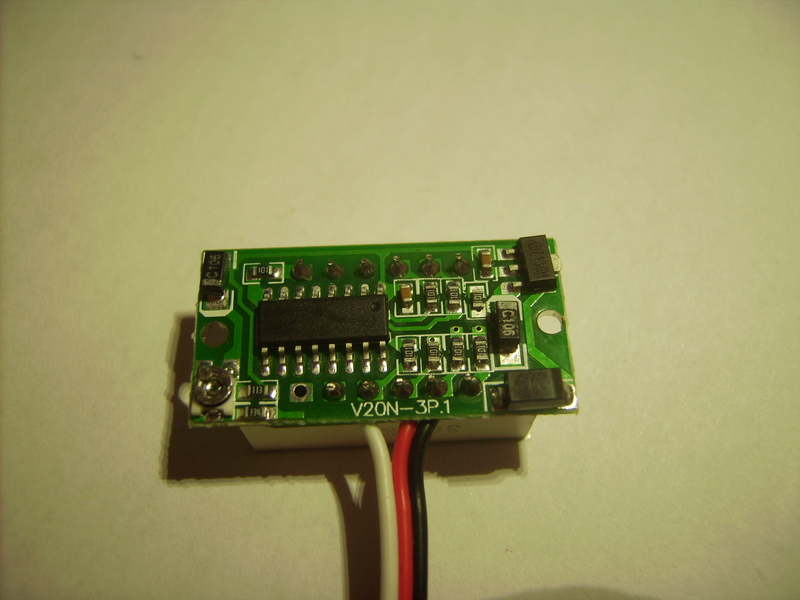 This is the smallest 500 mW one. 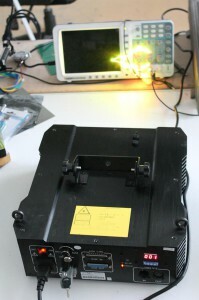 It is a device that has three laser sources (red, red and green) and mirrors for moving laser pointer. It can be controlled by sound, DMX512 or ILDA interface. So, lets tear it down. Case is really rugged and strong, made to last. Also has two fans for forced air cooling. Most of the insides is empty, they use the same chassis up to 2 W RGB projectors. 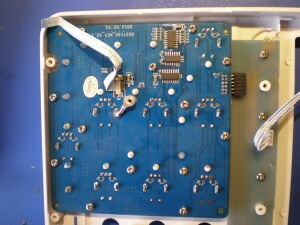 Electronics is really modular and all through hole assembly. All what you would expect from low volume device and more than 10 year old company. The laser assembly has two beam splitters that combine three laser sources into one. They two motors with feedback are used to move mirrors into correct angle. Laser assembly, two small red lasers and one big green. 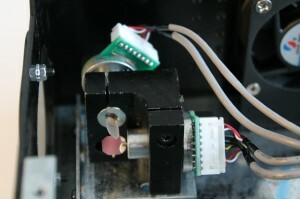 Mirror assembly with two stepper motors. I was searching for a program to match RF circuits. I already calculated input complex impedance and choose pi filter as topology. 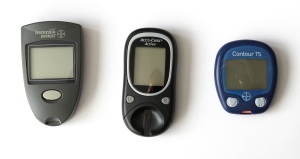 First I looked Motorola Impedance Matching Program. It is really old program, runs in Dosbox and is quite awful. User interface is manageable after reading the manual couple of times. Got the filter values from the program, but I'm not sure in these since I'm not sure I used it correctly. But in its free and cross platform so, why not use it. I also tried Agilent Advanced Design Studio, but yea, it is meant for full time RF engineers. It looks like it can do everything. Usability is almost okay, feels inconvenient like ltspice. Next I tried to simulate the circuit with scikit-rf. Importing the network worked fine, but the easy part ended there. To make components I first needed to make Media. There was no lumped element Media, so I took the one easiest to use - Freespace. Also the connections don't sound really correct. #Program accepts one argument - C1 value in picoFarads of PI filter. 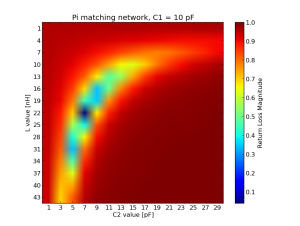 #and a graph showing preferred PI filter component values. 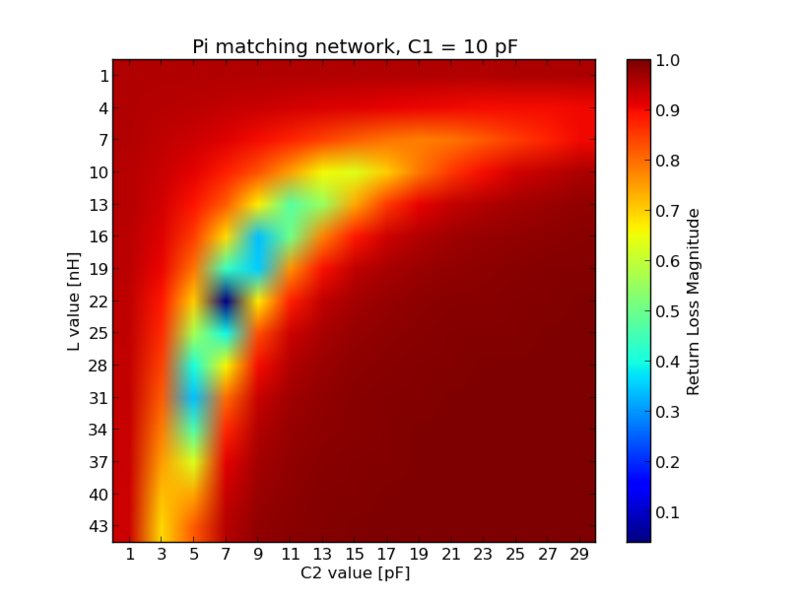 PI filter values in respect of output reflected power. And this program provides graph you can see on the right. Really nice graph what in theory should show right values. I like how I can look at the graph and pick values that exists in the shop and see how effective filter would be. But again, I can't verify these values on other tools so there is probably small miscalculation in my code. So I tore town my hot air station another day. It was bugging me that it restarted every time my refrigerator turned on. Probably a problem with not enough (if any) filtering. Couple of screws later and it popped open. First impression - it is dirt cheap. 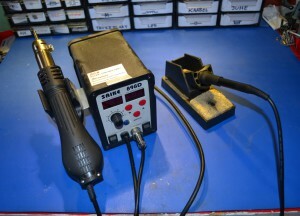 Well, it is THE cheapest hot air and soldering iron station but wow.. It has a big transformer in its core. 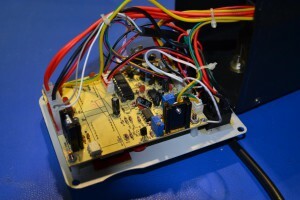 Transformer powers board with microcontroller, that controls the screen and buttons. 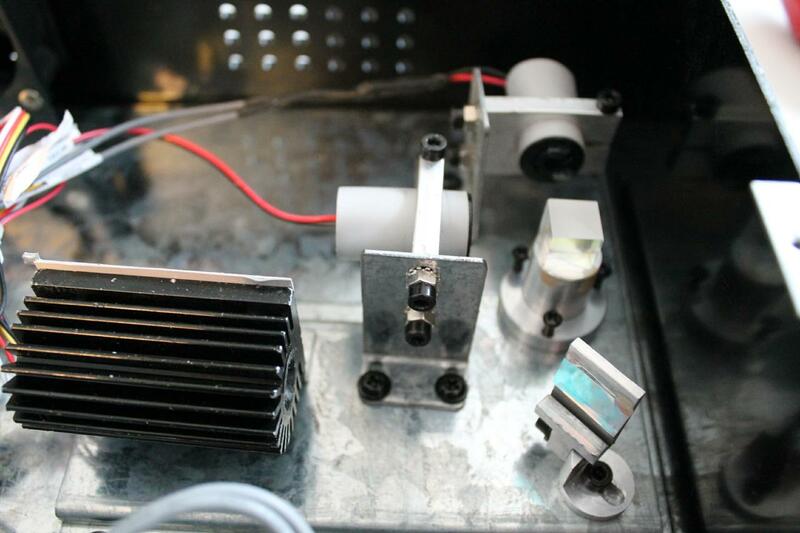 Power for the soldering iron comes from different winding and is controlled by thyristor through a opto-isolator. 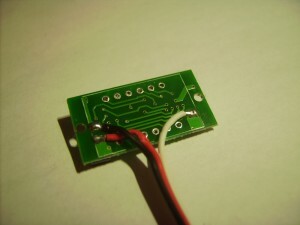 Some critisism: Single layer paper PCB, insides is a cabling nightmare. Everything is through hole, because you know - workforce is free.. It didn't even have a 7805, but a TIP122 transistor and a zener. Very weird design that I have also seen in couple of other ultra cheap Chinese stuff. Positive side: it is really cheap - under 80 €. It works - I bough it some years ago and still no problems. All the tips and replacement parts are available really cheap also. So, I recommend it. 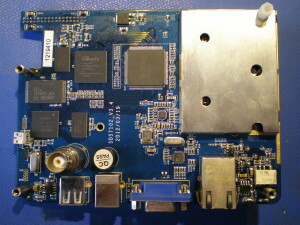 Front side of the board. 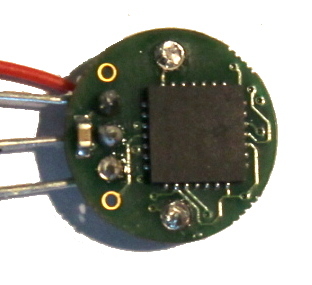 Notice LED driver mounted on an angle. 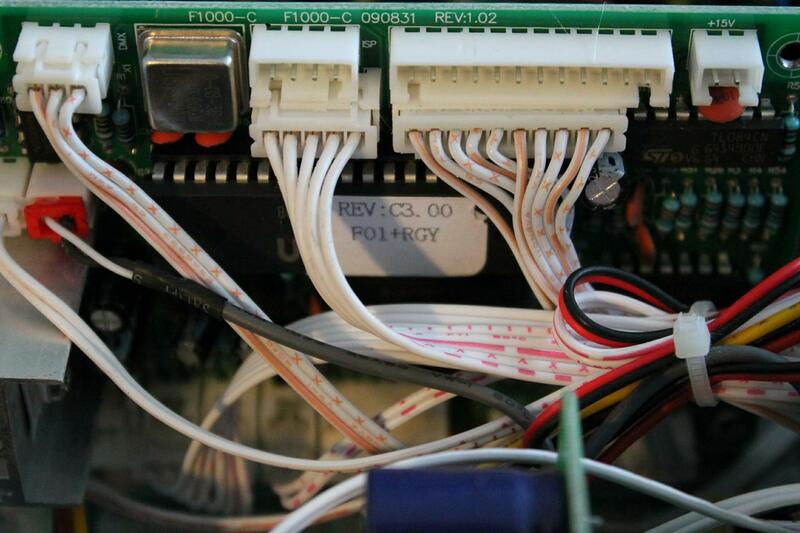 The upgrade: It actually had a lot of Y2 capacitors from power lines to mains earth. But I live in an old soviet building where is no mains earth. 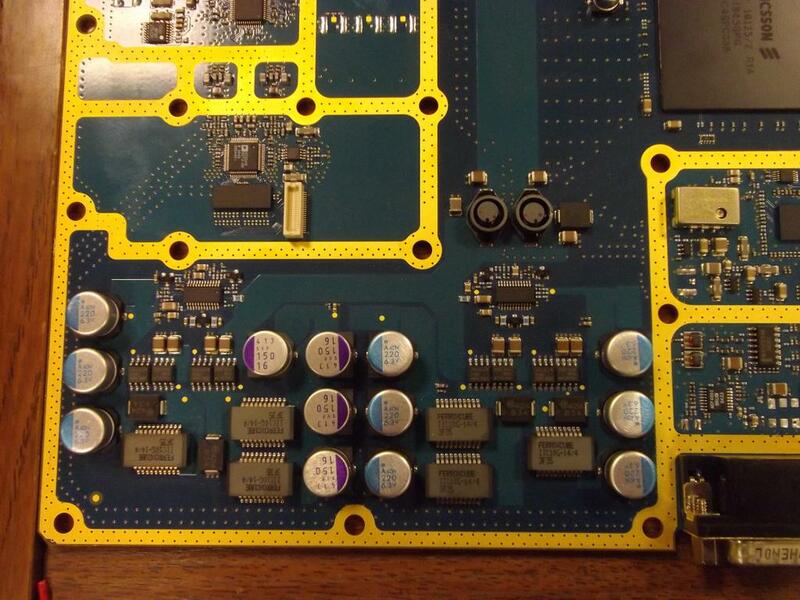 So I added more capacitors. Mains line got a biggest X2 that I found. Circuit 5V power line got couple of big electrolytes and some of small ceramic capacitors. I also found the soldering iron tip grounding line and added 1 MΩ resistor between it and the ground. 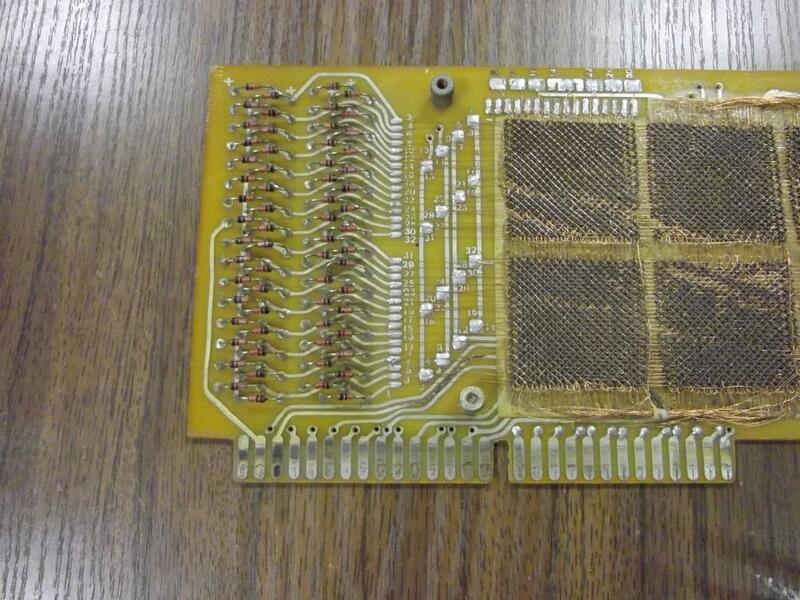 This gave me the ability to solder live circuits. Before I had couple of nasty incidents. Some time ago I bought myself a Owon DS7102V 100MHz oscilloscope. It is similar to the Rigol entry level scope DS1102E, but thinner and with bigger screen. Oh, this beautiful screen, totally worth the money. 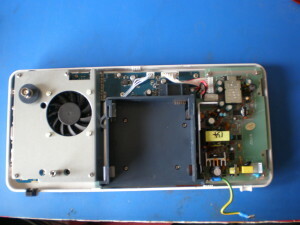 But as time passed first flaw of this eBay originated scope surfaced - the fan broke. It didn't stop, it just started to make screeching noise whenever I turned it on. When taking aparart for the first time I also managed to break soft power button.. Oh well. 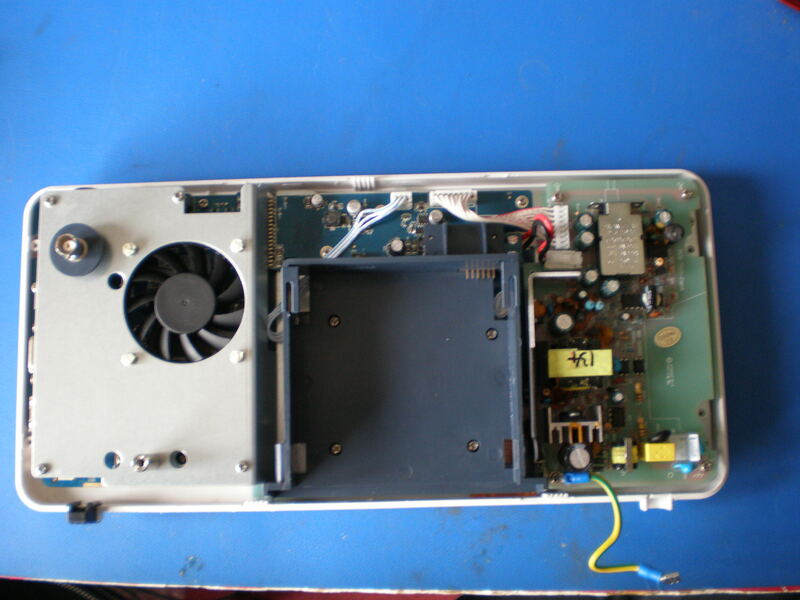 I ordered new 12 V 60 x 60 x 10 mm fan and KDC-A11 power button to fix it. Internal layout is really impressive. 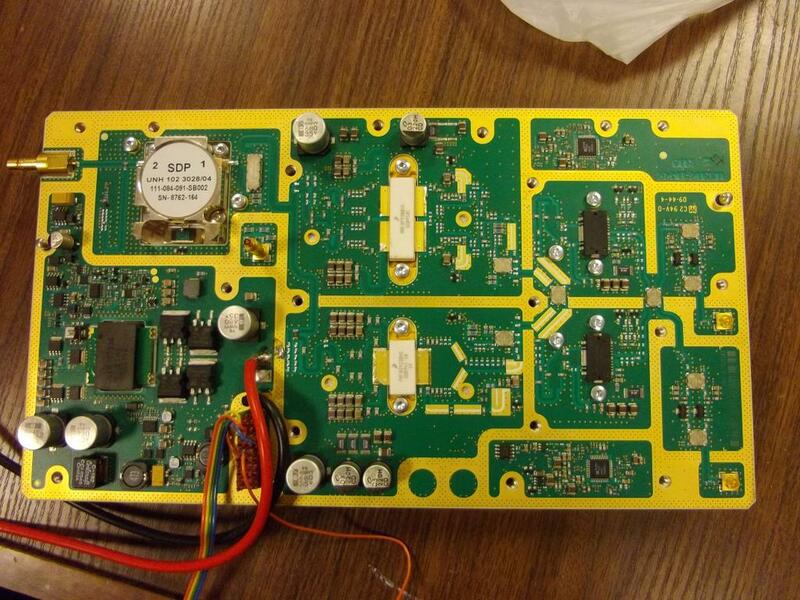 One third of the scope is cheap power supply, middle section is battery compartment, and all the scope electronics is one small PCB. Whole scope worth of electronics small enough to put in pocket. 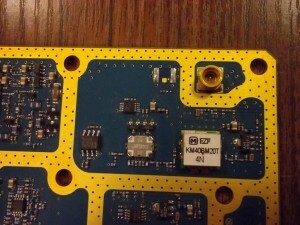 Old KDC-A11 next to new one. Slight problem with pin sizes. 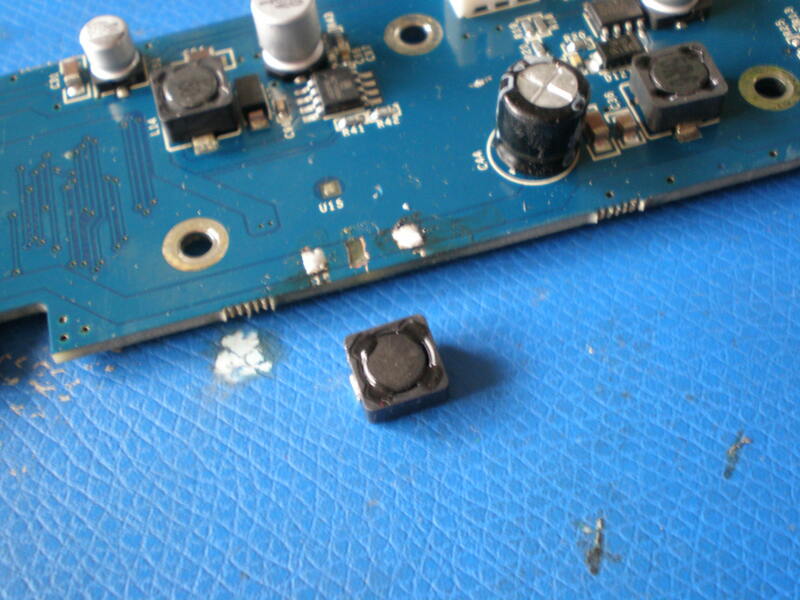 Small bodge inductor, probably against ripple on the line. 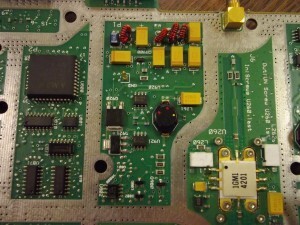 Top view with cheap looking ADC, FPGA and ports. Eeweb wanted to exchange links with me. Like always it sounded like a trap, but no. On closer examination it came out that they host webcomic that I read every week. I just have to link them now: http://www.eeweb.com/rtz . Because I love webcomics. 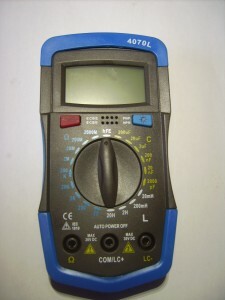 To not make it too one sided: check out Ohm's Law calculator on the12volt.com. Basically it has calculators to calculate I, U, P and R from each other in every combination. Super useful if you are too lazy to bend the formulas. And to make it clear, they didn't pay me. I link them and everybody else because I like the content. At some point I thought about putting advertisement on my page to make it pay for itself, but now I don't want any more. There is enough stupid ads everywhere and I don't need that money so bad. Besides, if you are like me, all the ads take you to HobbyKing anyway, so go there without ads and buy their stuff. They are good and cheap. I have got myself bunch of cheap lab stuff. 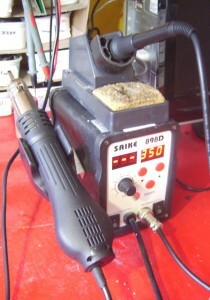 The most expensive of them - Saike 898d rework station. This is the cheapest combination of soldering and rework station on ebay - only 80€. While waiting it to arrive I figured out why all packages from China take a month to arrive - they are in Russian customs for 25 days. Or at least that is why my soldering station was in the post for a month. The experience of the soldering station so far is amazing. The hot air soldering is as it should be - adjustable temperature, air flow and plenty of nozzles, not some wrecked and broken station in the school lab. 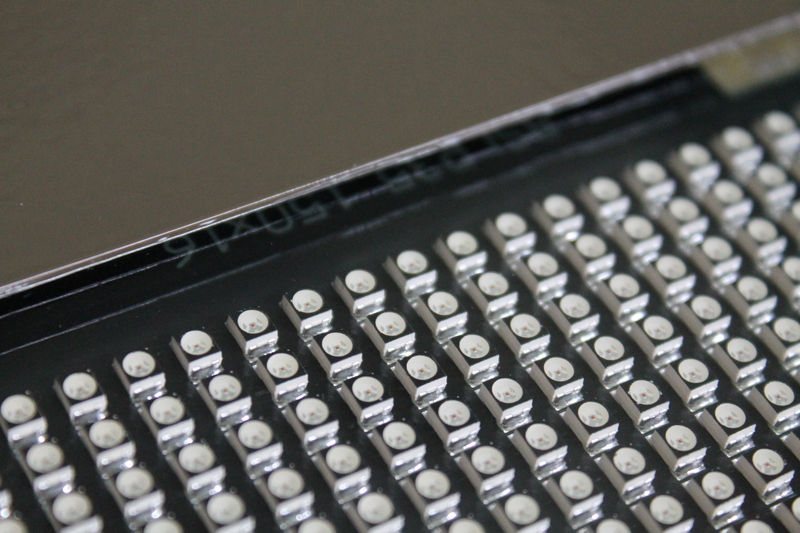 Desoldering chips is convenient like it should. 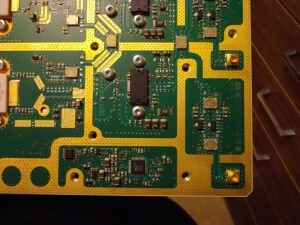 Unfortunately I haven't bought solder paste yet, so soldering chips on is still annoying. The soldering tip part is good to. I managed to damage the tip in a week, because of mu clumsiness. I bough new and wider tip what works really well with everything I have soldered (DIP, SOIC, TQFP). It still is one of the best irons I have used. Ground pads take a second to heat up but compared to my old 5€ iron - still awesome. Its so good to have good soldering station just for yourself, I highly recommend getting one. Hot air rework part review. 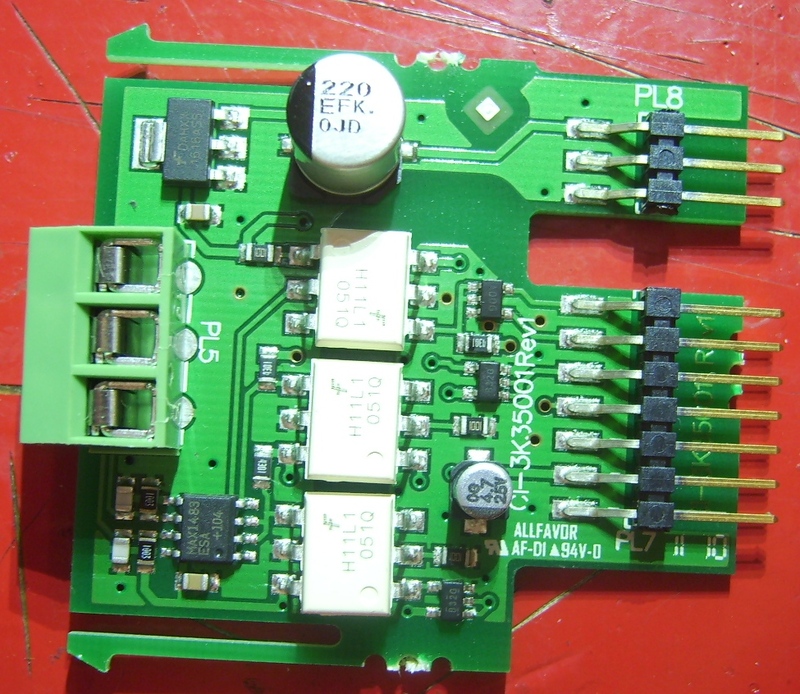 I wanted to play around with some inductors and self made transformers, so I bougth the cheapest LCR meter. It cost about 14€. No fancy autorangeing. As a positive suprice it mesaures capacitances very fast and more or less precise. 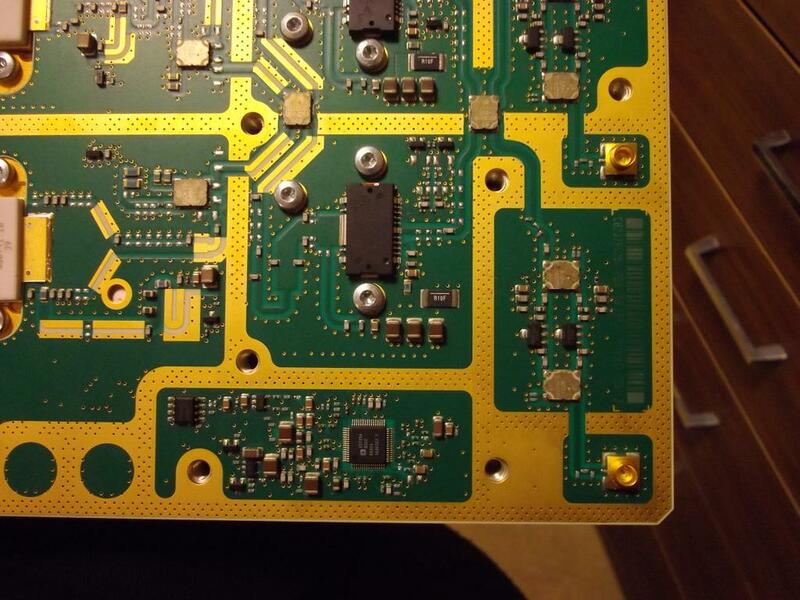 The downside is that the smallest resolution in inductance it can measure is 10μH, what is most times not good enough, when designing switching regulators. I took it apart. The insides didn't have anything very fun. Typical ebay quality. 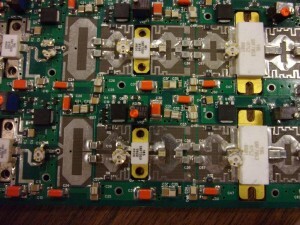 The MELF package resistor network on the right side was a bit funny but that's all. I bough 3$ digital DC voltmeter from ebay. I needed one for my power supply and I have became too lazy to build such things myself. It looks awesome, is not very precise. I found SMD potentiometer from the back that calibrates the voltage for about 1V, so, yea. Not precise at all. So, teardown time! 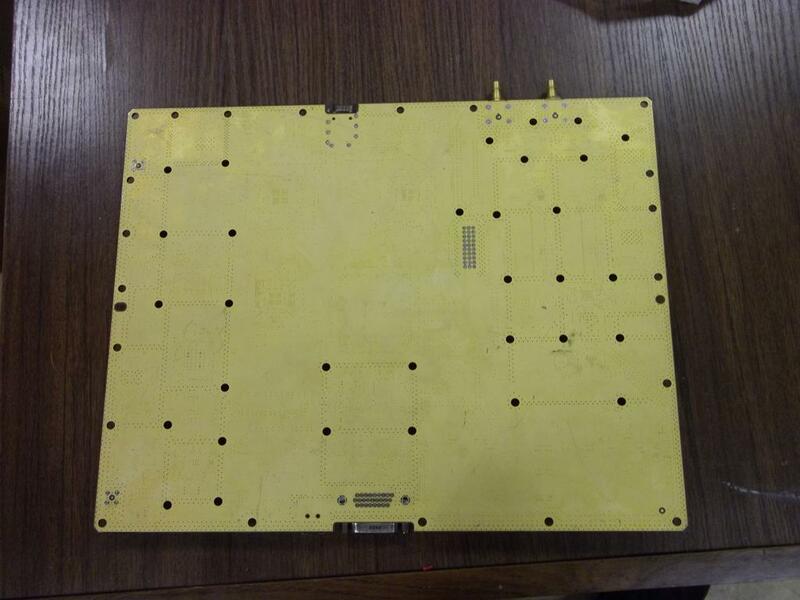 PCB is reasonable quality, two sided, plate through holes. 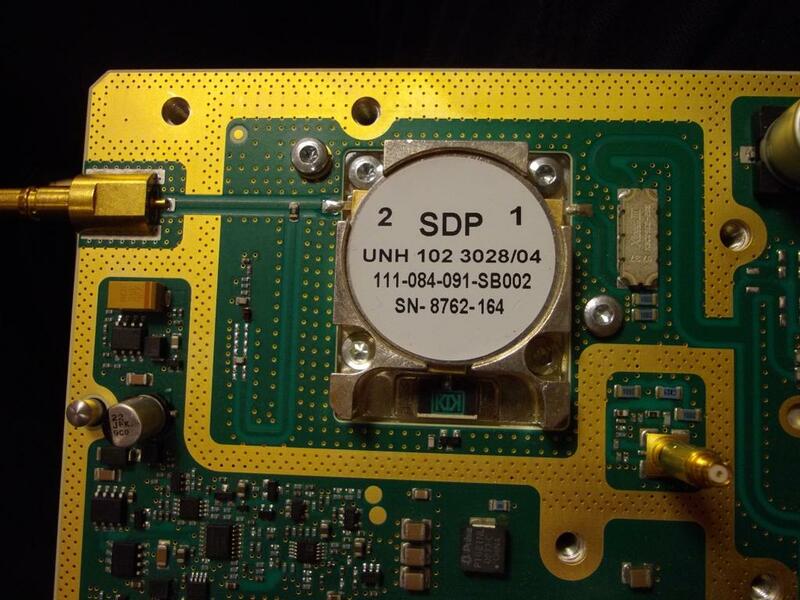 SO-16 package in the middle that does all the work, part number is sandpapered off. I searched a bit and now I know that it is not a AVR nor a PIC. Probably not ASIC either because cheap chinese things have these in die bounded to PCB, but you never know. 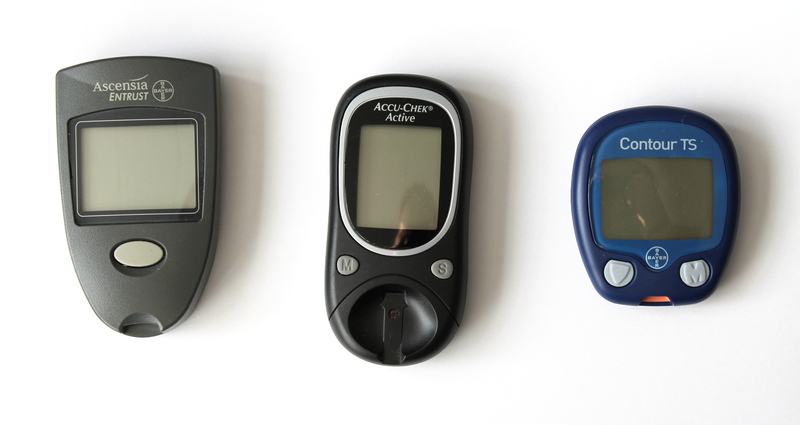 Pin 1 is GND and pin 2 is Vcc. 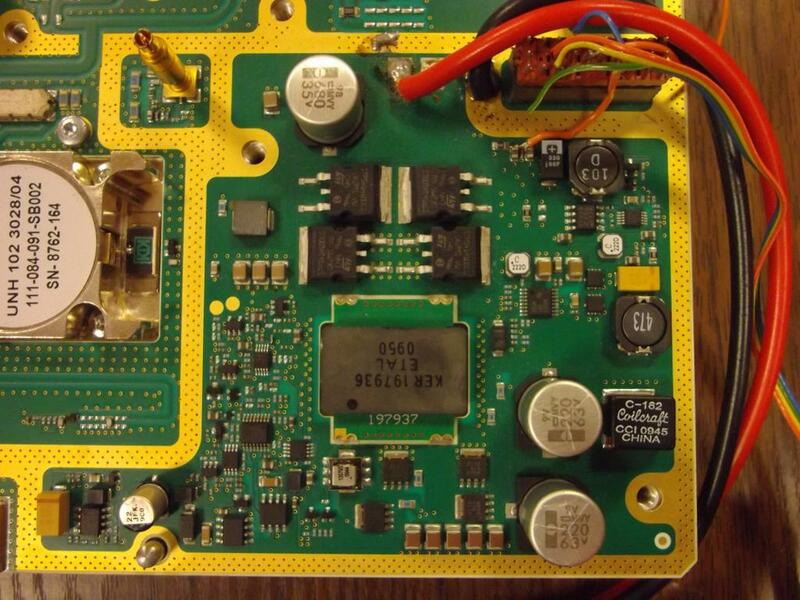 Power circuit has protective diode in series and then 3.0V SOT89 regulator with 10µF tantalum capacitor for power. The display is 3x 7 segment display with dots. 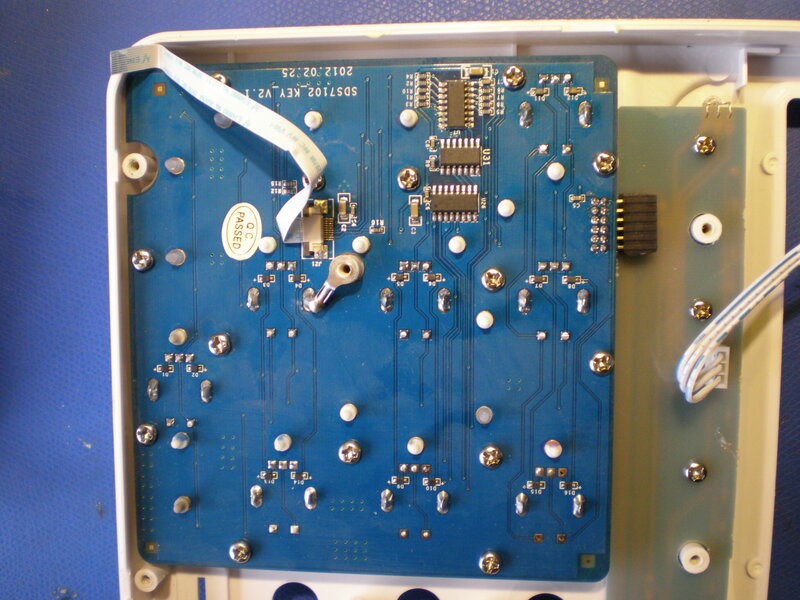 It has 8+3 pins so everything is multiplexed, bad for me, I wanted to change the comma position. The input goes through 330k resistor and 4.7k potentiometer, so it should affect the input by about 1.5% of the full 100V scale. 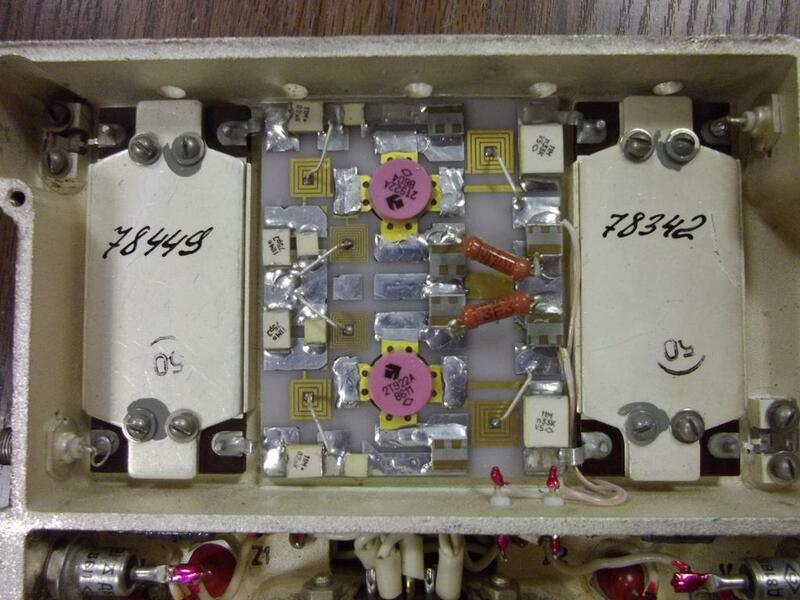 There is 10k resistor and 10µF tantalum between signal and input. 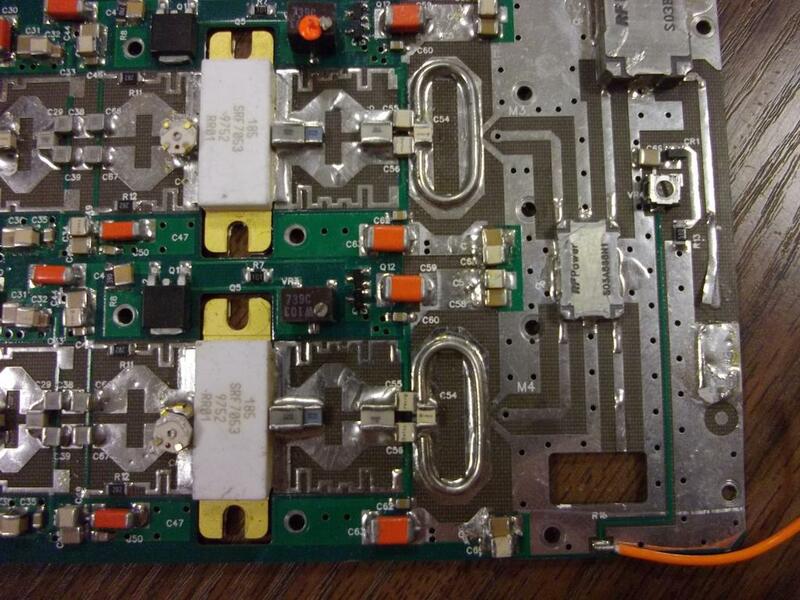 So, some heavy low pass filtering and about 1/34 voltage divider. 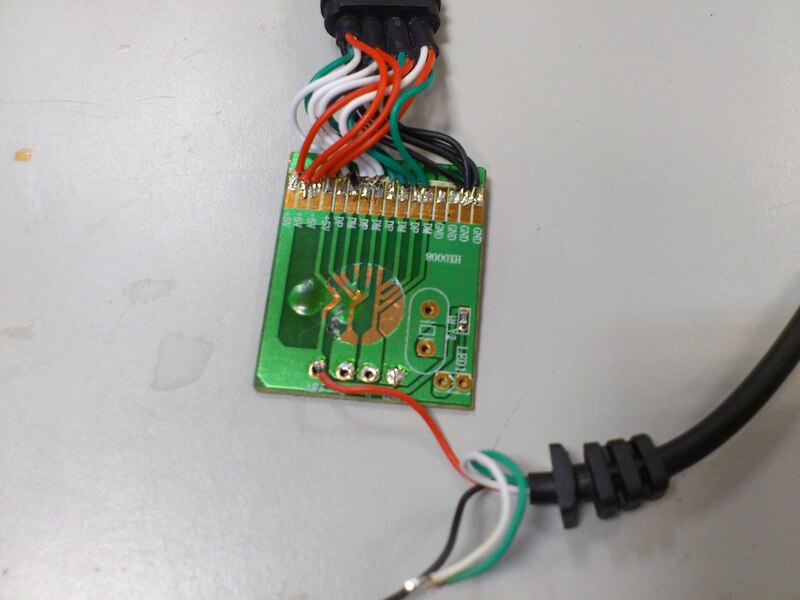 The input signal goes to pin 14. 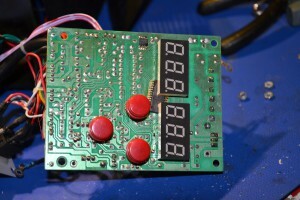 I tore it apart to see if it can be easily modified to a ammeter. 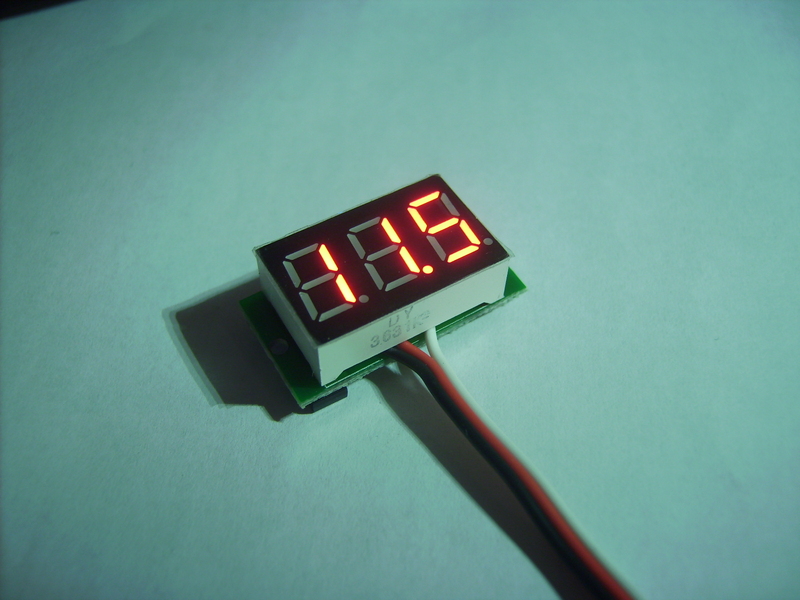 The cheapest ammeters cost about 3-5x more than voltmeter. To modify it to ammeter I have to modify voltage divider ten times smaller to measure shunt voltages from 0-1V. Also more of an visual thing - I have to move the dot one place left. But the placement of the dot is determined by the chip, so I can't move it. I can use it for my own purposes but I can't sell an unit with wrong comma placement, even to a friend. Damn. I have recently started spending a lot of time in University of Tartu Space Technology lab. 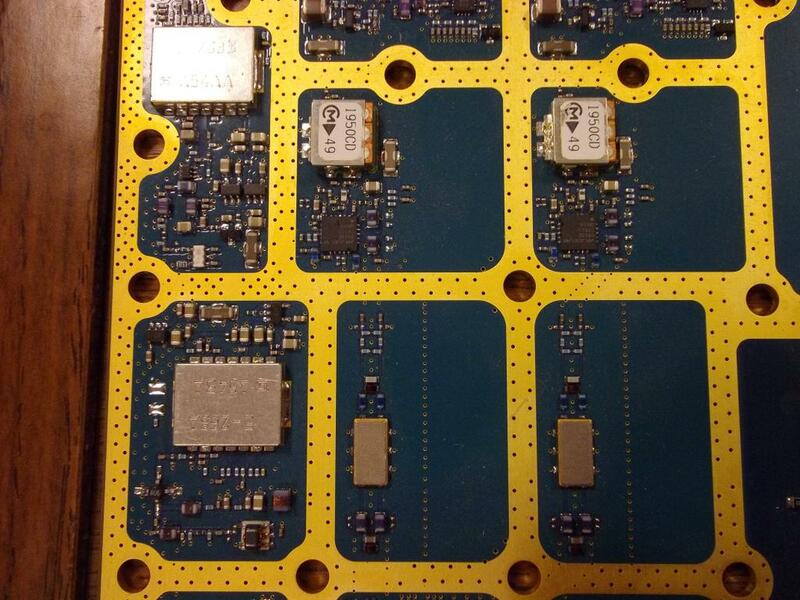 RF boards in the trash box look so beautiful that I just had to make pictures. Since I don't know what all these boards to, the descriptions can contain errors. 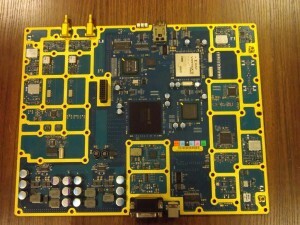 Overview of the RF board. Random inputs? and some filtering. 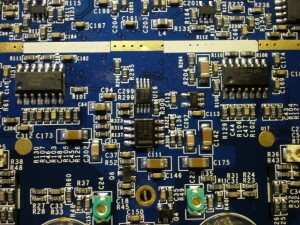 One of the big RF amplifier chips on the board. 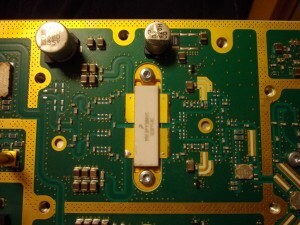 The other RF amplifier, even bigger than previous one. Output filter? or amplifier? 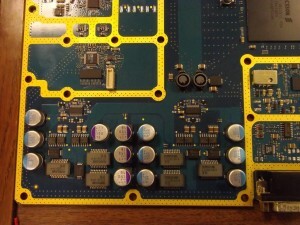 The component is mounted on gigantic heatsink on the bottom of the board. Power circuit of the board. 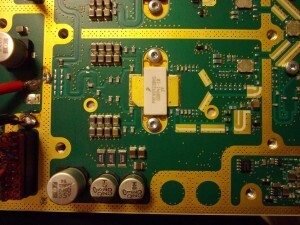 Output part of some old RF board. 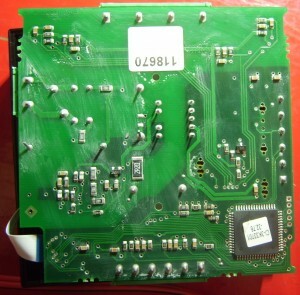 Middle section of the same board. 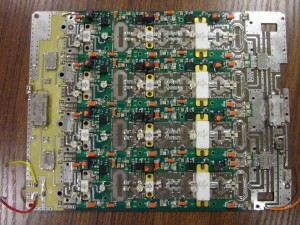 Overview of 3G telephone mast PCB. 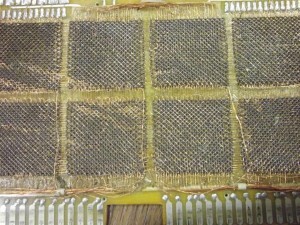 Golden stripes show where the metal shielding connected to the board. 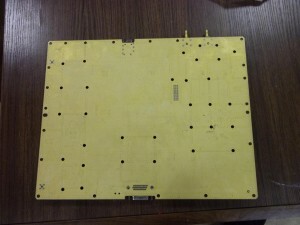 Golden bottom side of the same board. GP3974 High Speed USB 2.0 4 Port HUB For Laptop 480Mbps FAKE! 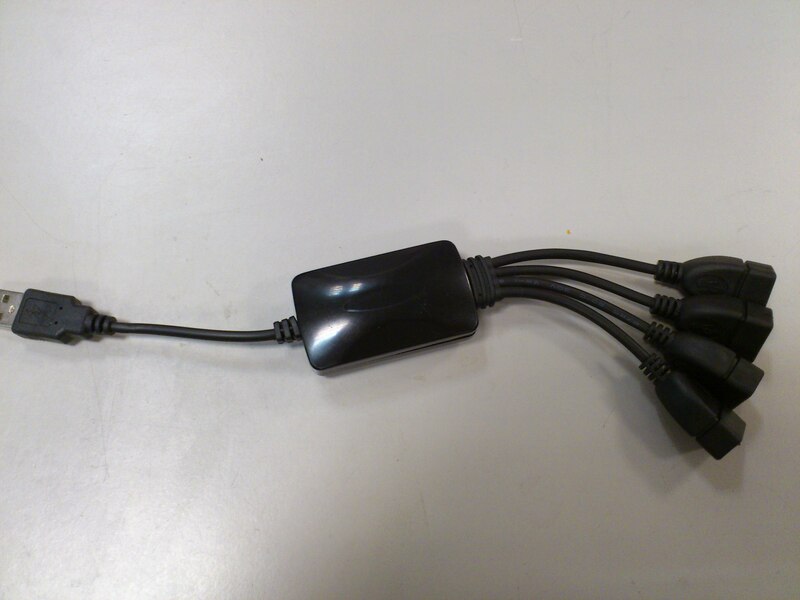 Cheap (and fake) usb hub from ebay. So I needed USB hub for my robot. So I bought one from eBay. When it arrived I started to test it, because, well, i don't trust eBay. It worked well when connecting one device, but stopped working with multiple devices. After testing it a bit i decided to take it apart. The insides looked a bit suspicious - there were no crystal and one pad for crystal was connected to ground. I decided not to waste more time on it. No chip inside, only tracks. But then! Kalle appeared and took the piece of glue away with reworking station. And all the fakeness was revealed. It didn't have any chip inside, only tracks. And USB husbs must always have some chip inside that deals with all the traffic. This one worked as a junction box - if you connected one thing then it worked, if several - they shorted each other out. But whatever. I'm not unhappy, I got cool box and bunch of connectors for 1.8$, but all you, who need a real hub, don't buy it. I bought it from shop named gogo21shop. So I'm writing some host side software for Crompton Ci3 Power meter, and I thought to show the insides of it. 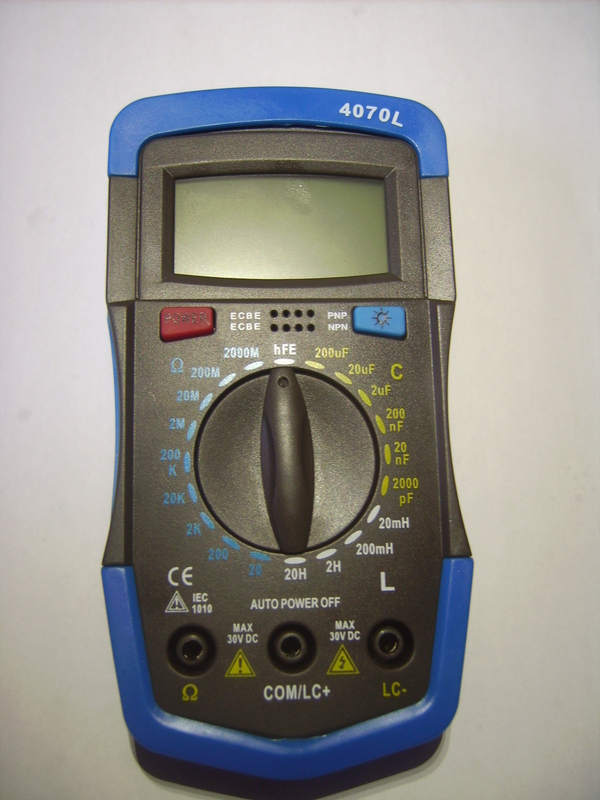 The unit itself is a three channel industrial voltage, current and harmonics monitor. 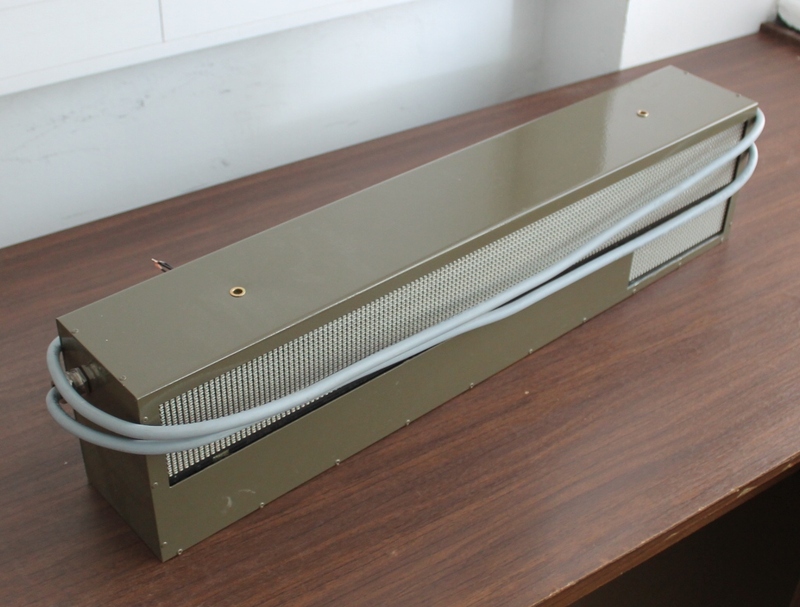 It is used in grid substations. 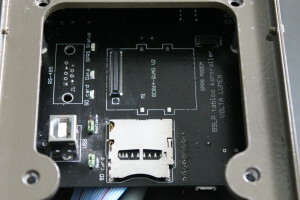 Datasheet It is made out of one 4 sided PCB and LCD. Power tracks are in middle layers, probably for safety reasons. 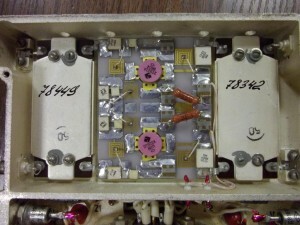 On the left there are 0.015Ω shunt current sense resistors for current and wattage measurements. 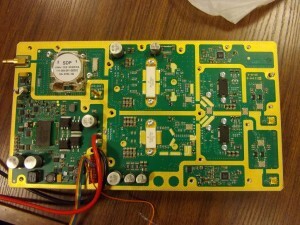 On the center is probably the power supply for the logic. 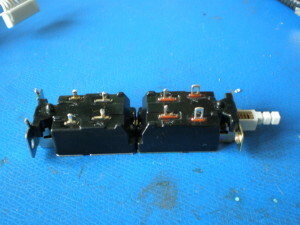 On the right side there are precision voltage dividers (made from couple of megaohm resistors). 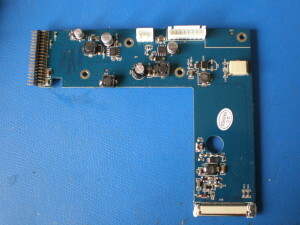 Left bottom - LCD flex cable connector. 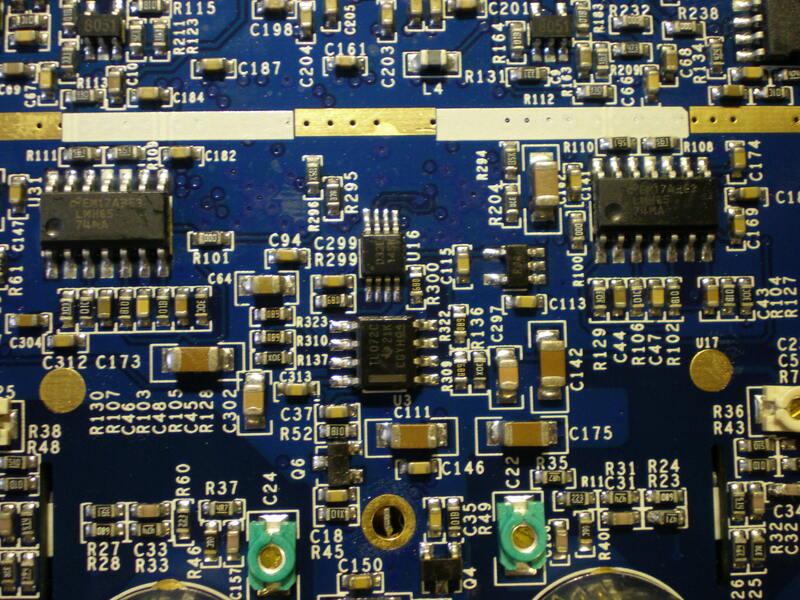 Top right - crystal and decoupling capacitors for MCU. This is much more boring, and for some weird reasond, covered with some goo. There are some passives in the current measurement section. Also there is the main MCU of the unit. It is Atmel's AtXMega256A3 with some firmware sticker on it. They problably chose this processor for its fast ADCs. On the right there are programming pads but the firmware is probably write protected. 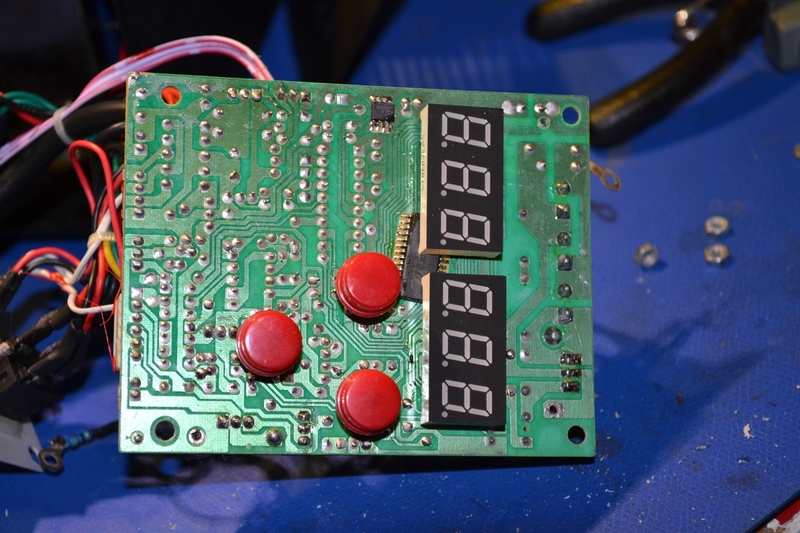 The board runs on 3.3V logic. 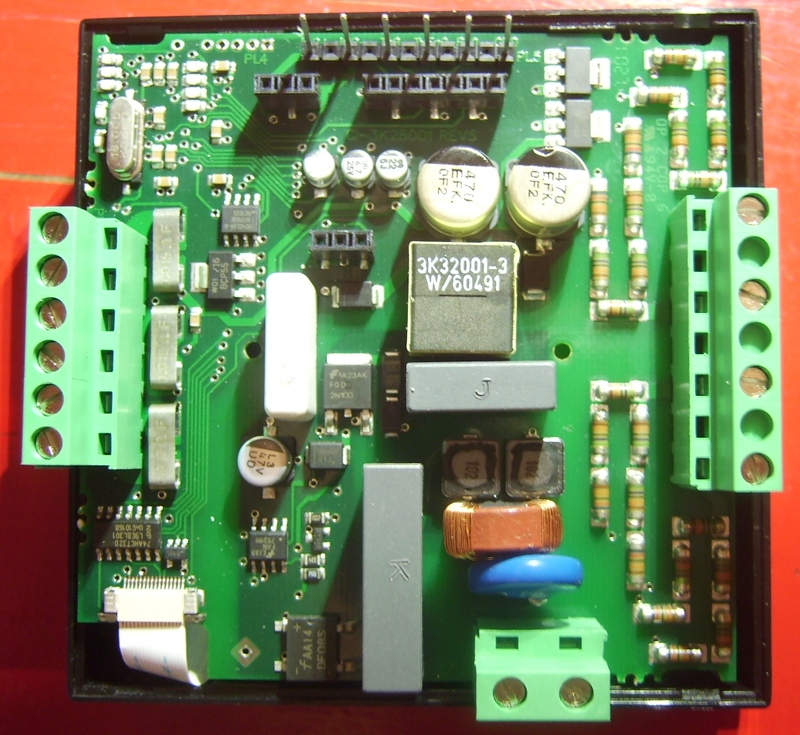 And finally - the RS485 plugin board. It has MAX1483 RS485 tranciver chip and three optocouplerers for protection. 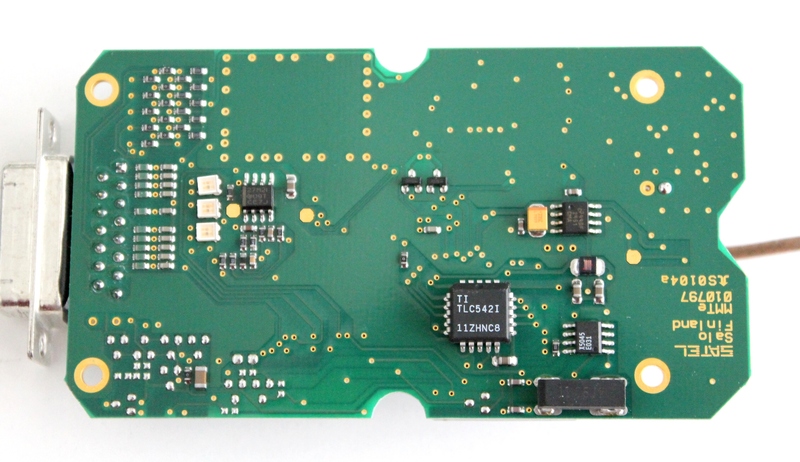 On the final version of the product I'm working on I will probably omit this board for cost savings, and mount my own board instead of the plugin board. 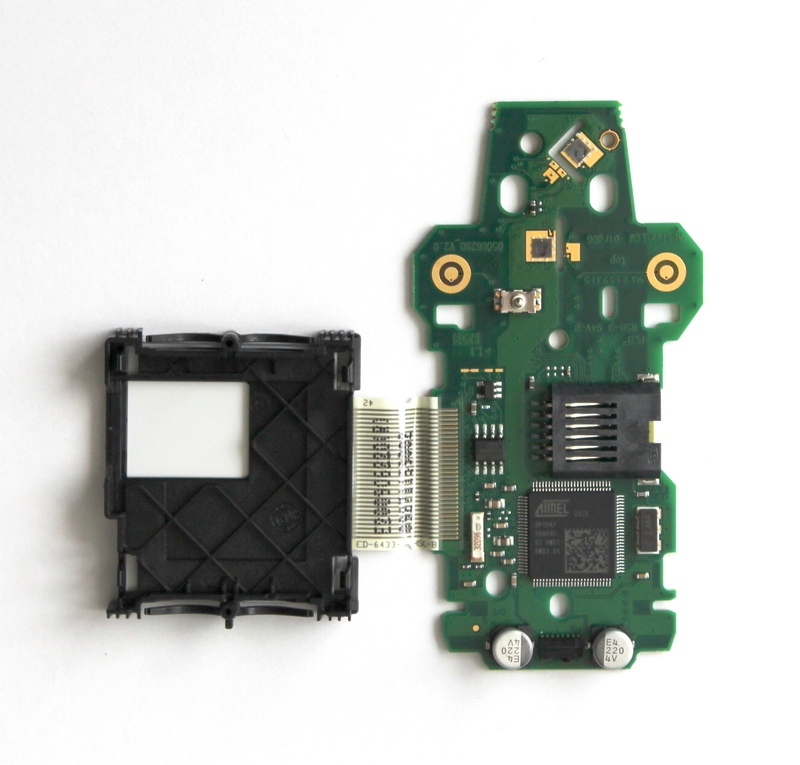 Lately I have been enjoying looking teardowns and tearing down random electronics myself, because it teaches so much about electronic design - what chips to use, how to lay them out, how to solve common problems etc. So while trashing around in dorms storage rooms I found a barcode reader. It seemed like a good thing to disassemble. It connected with some weird DIN5 connector so it wasn't usable anyway. It had both connectors - female and male, probably to daisy chain it with something. So I ripped it apart. 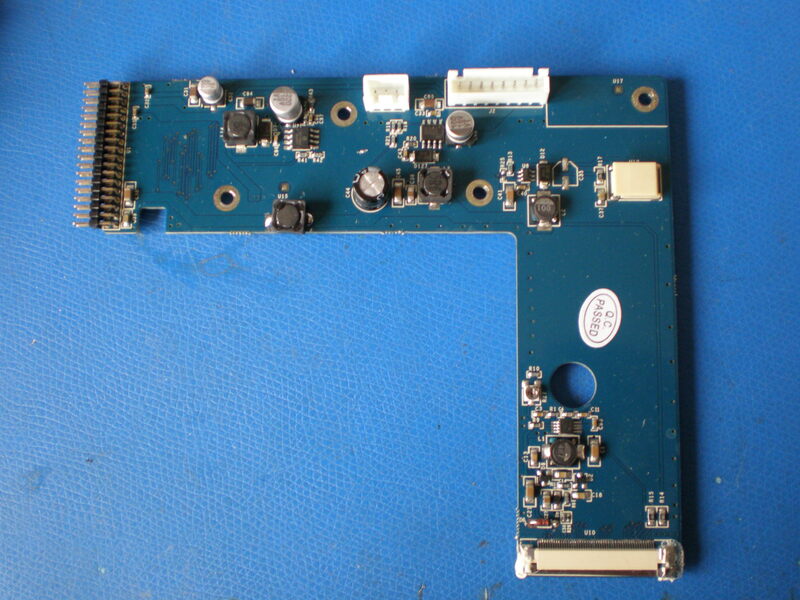 First thing i found was an awsome linear CMOS image sensor tcd1201d. I even found it's datasheet. 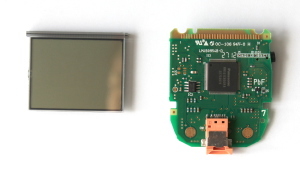 It is 2049px sensor with 1MHz speed. I use one just like that in my other project so it went to that project's box. 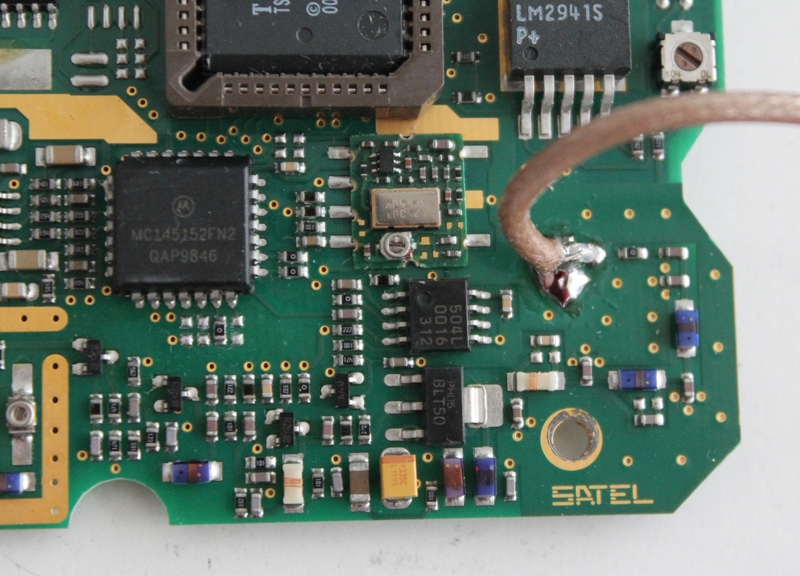 After sensor there was 8x PLCC2 LED, piezo, some 74 series logic and Freescale MC68HC11 microcontroller, seems cool but not worth desoldering. 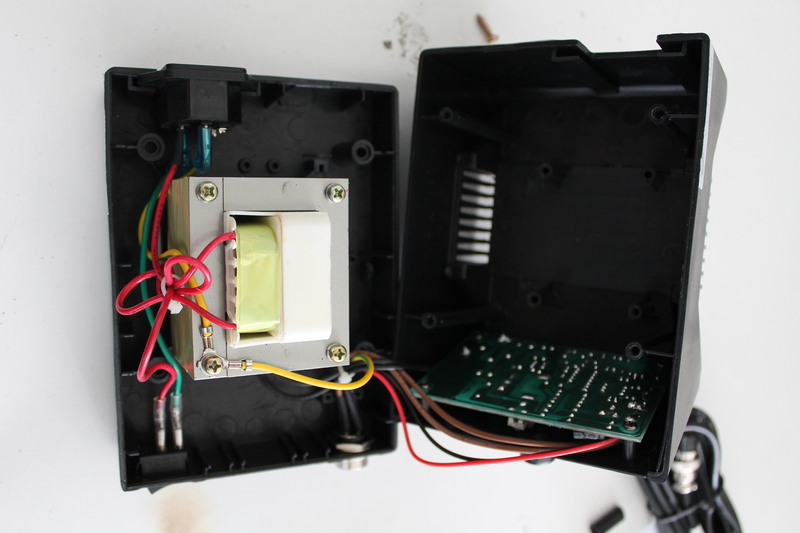 After putting it back together, I striped the wire and sent +5V to red wire and GND to black one. It lighted up and beeped like a weird weapon (or a barcode reader). 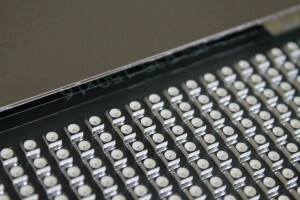 2048 px image sensor and its optics.